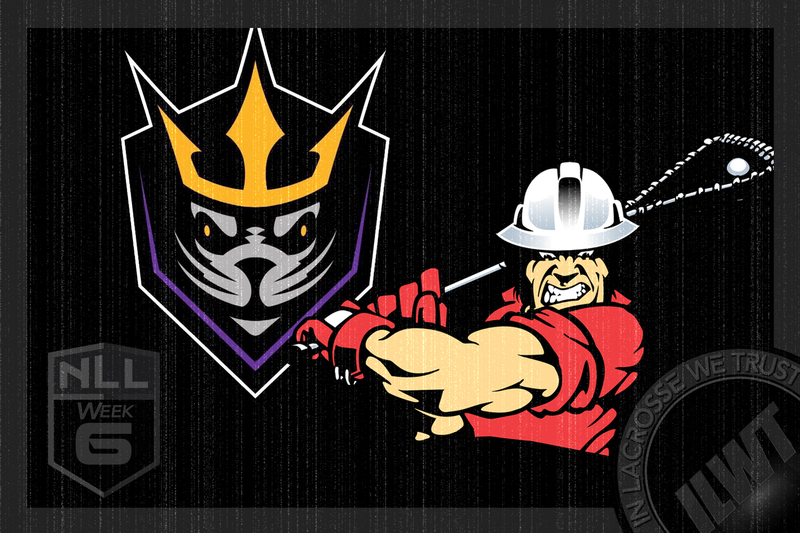 The Californian heat got the best of the Calgary Roughnecks (3-4) this weekend as the San Diego Seals (4-2) beat them 15-9 at their home Pechanga Arena. The Seals utilized their offensive prowess to overwhelm the Roughnecks, outshooting them 62-46. The young star from Six Nations, Austin Staats (3G/4A), would convert three of these shots for a hat trick as well as adding four assists on the night. Casey Jackson (3G) would also register a hat trick on five of his shots taken to help bolster the Seals’ offence. The two future Hall-of-Famers ‘Dangerous’ Dan Dawson (2G/3A) and Garret Billings (2G/4A) would join the young guns to put on an offensive spectacle for San Diego. Each contributed two goals and a handful of assists to ensure their team would triumph over Calgary. Roughnecks’ veteran Rhys Duch (2G/3A) took the reigns of Calgary’s offence and contributed five of the nine points totalled. He moved the ball well in the offensive zone forcing defenders out of position until scoring chances opened up for the Roughnecks. Dane Dobbie (2G/3A) also made significant contributions to his team’s offensive efforts. His first goal demonstrated his deception and high lacrosse IQ with great fakes and stick work before he fired the ball on net. Though both veterans chipped in in to the Roughnecks’ point total, it wasn’t enough for their team to get the better of the Seals. Though the Roughnecks’ defence simply couldn’t keep up with the multiple scoring threats on the Seals, they did have some positives to take away. Zach Currier and Tyson Bell tallied 14 and nine loose balls (LB) respectively and helped their team in a big way to transition to offence. The Seals’ defence played extremely well to limit scoring chances for the Roughnecks. Effective communication, directing opponents to support, and active sticks in shooting lanes foiled many of the attempts from Calgary. There is no doubt Patrick and Brodie Merrill have established great defensive discipline on their team. A familiar face for Calgary, former Roughnecks’ goaltender Frank Scigliano, made 37 saves for the Seals. His efforts limited chances from top scorer Curtis Dickson (1G/2A) who was only able to register one goal in this contest on eight shots. Roughnecks goaltender Christian Del Bianco made an impressive 47 saves against 62 shots and carried his team in the fourth quarter where he only allowed one goal.